Strap with eight odbiciowymi sensors with digital output. 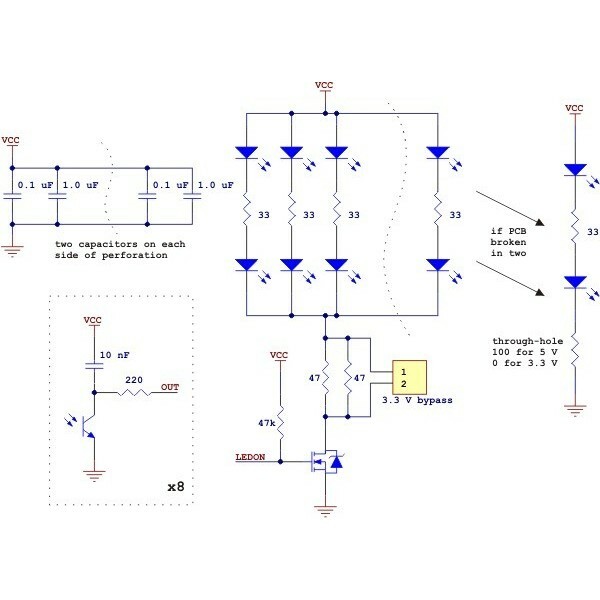 Voltage supply 5 V or 3.3 V.
The system, consisting of eight sensors odbiciowych (pair: led IR and fototranzystor), was designed to detect black lines on a white background. The reading is done by measuring the discharge time of the capacitor, which is associated with fototranzystory. With this solution the user should not use the inverter A/C. 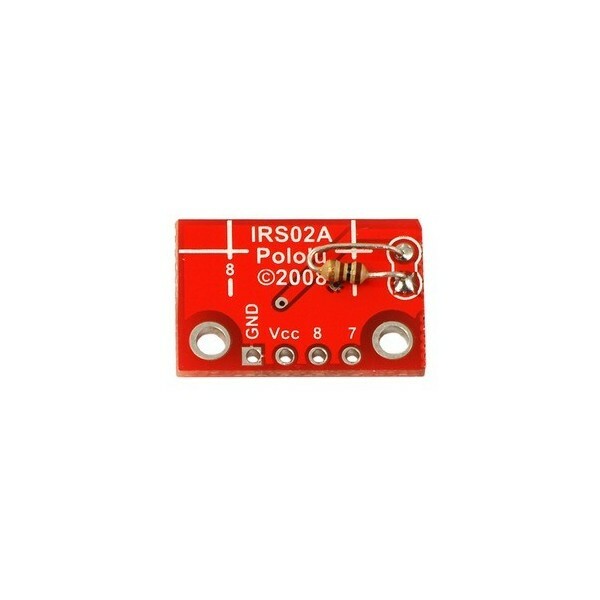 LEDs IR radiation, to reduce electricity consumption, were paired. 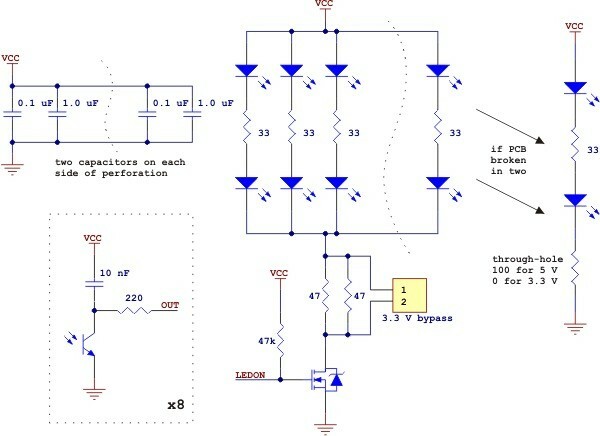 Controlled through a MOSFET transistor turns on position, higher, low. This solution allows you to turn off the LEDs when not in use and thus reduce energy consumption. 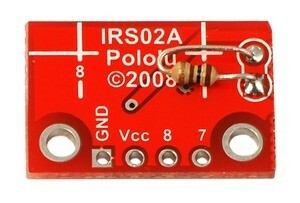 The current single led is in the range of 20-25 mA. All the module loads, so approx. 100mA. Diagram of a lath QTR-8RC. The reading is done by measuring the discharge time of the capacitor. 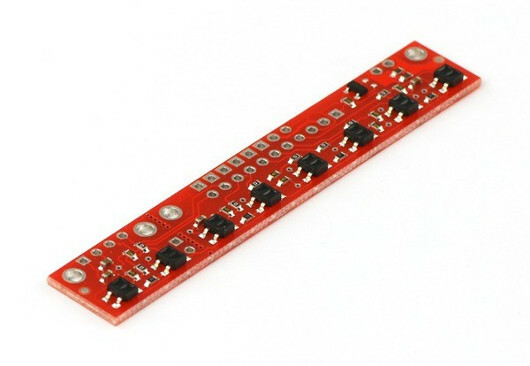 With this solution the user must not use the Converter analog to digital. 2. The importance of the conclusions I/O of the microcontroller output and the creation of a high position. 5. Measuring the discharge time of the capacitor through the waiting line to, pass into a low state. 6. Disabling the IR LEDs (optional). The company Pololu created bibliotękę AVR C/C++that simplifies the use of the product. Entered it also functions to support the bar, QTR. 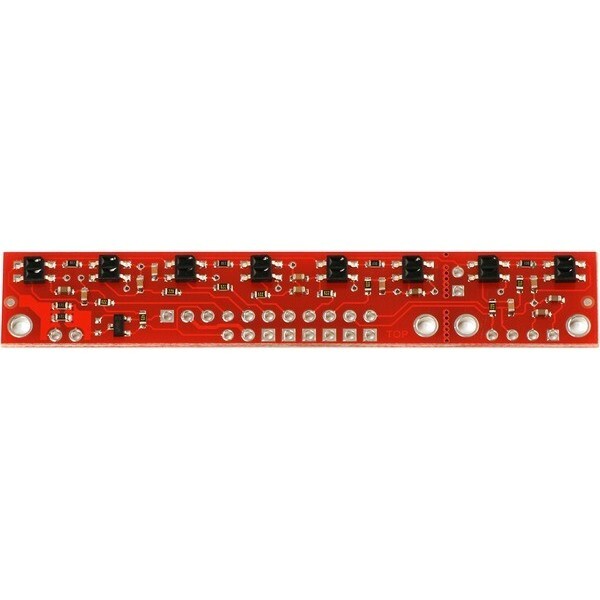 Also available is a library for the Arduino project. 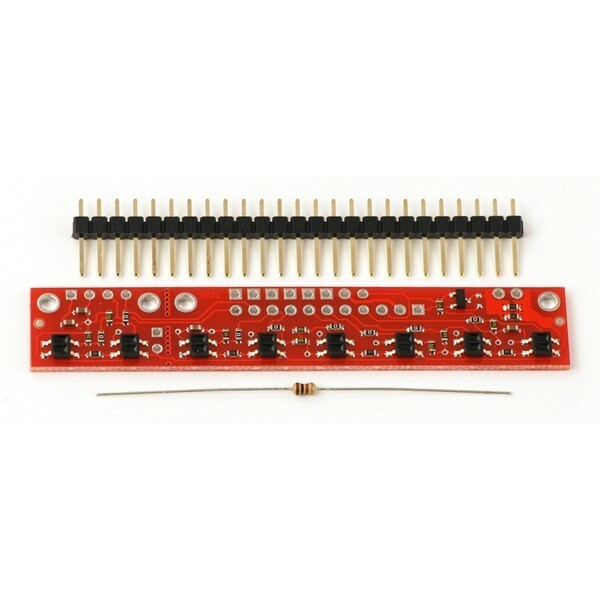 The kit includes the module with sensors, bar goldpin and the resistor is 100 Ohms. There is the possibility of separating the strap into two parts. Both plates will work as separate units. The robot controller containing an AVR microcontroller, dual channel motor driver and the necessary outputs.